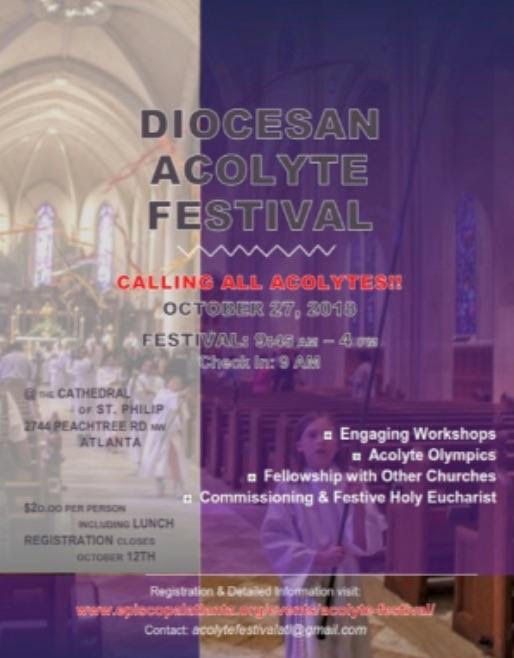 Calling All Acolytes: Registration is open for the Diocesan Acolyte Festival, October 27 at the Cathedral of St. Phillip from 9:00am – 4:00pm. The $20 registration includes lunch and a snack. The registration deadline is October 12. Please contact Dana Dolan for more information and registration.